This plugin integrates CECA payment gateway with J2Store Joomla eCommerce solution. Euro(EUR) Currency Must be available in your store's currency list. 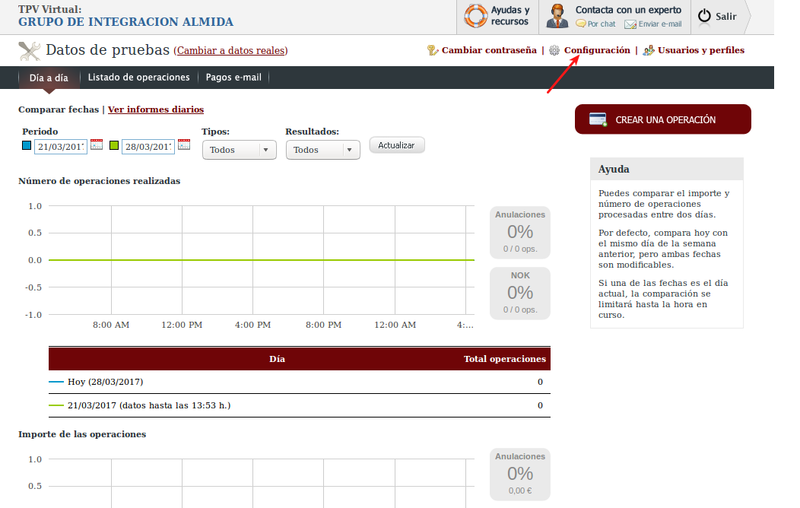 Must set IPN url (URL online OK:) in CECA payment dashboard. Download CECA Payment plugin from our site and install it using Joomla installer. After installing the plugin, go to J2Store > Setup > Payment methods. Enable CECA payment gateway for J2Store. Now open the plugin and configure the basic settings of the app. Where to find the Merchant ID, Encryption key, Acquirer BIN, Terminal ID ? You can switch between real and testing environment on top left box. If you would like to use testing environment, click on Cambiar a datos de pruebas (change to test data) and the page will change from a blue to red which indicates that we are in a test environment. 4. Once switched to testing environment, you will have to configure to get the data required. Click on Configuration. 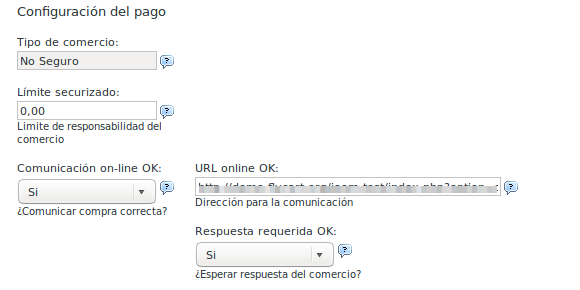 Copy the url given here and paste it in payment configuration page (https://comercios.ceca.es/). Enter the merchant ID associated with live CECA account. Enter the Encryption key associated with live CECA account. Enter the Acquirer BIN associated with live CECA account. Enter the Terminal ID associated with live CECA account. If your payment have different product url, enter the url here. Otherwise leave it. If your payment have different sandbox url, enter the url here. Otherwise leave it. CECA payment also offers sandbox feature to test your store. Select YES to use the payment in test mode. Enter the sandbox merchant ID associated with live CECA account. Enter the sandbox Encryption key associated with live CECA account. Enter the sandbox Acquirer BIN associated with live CECA account. Enter the sandbox Terminal ID associated with live CECA account.